By 1451, Constantinople was surrounded by Ottoman forces. The city, however, obdurately refused to fall and Sultan Mehmed II was getting impatient. 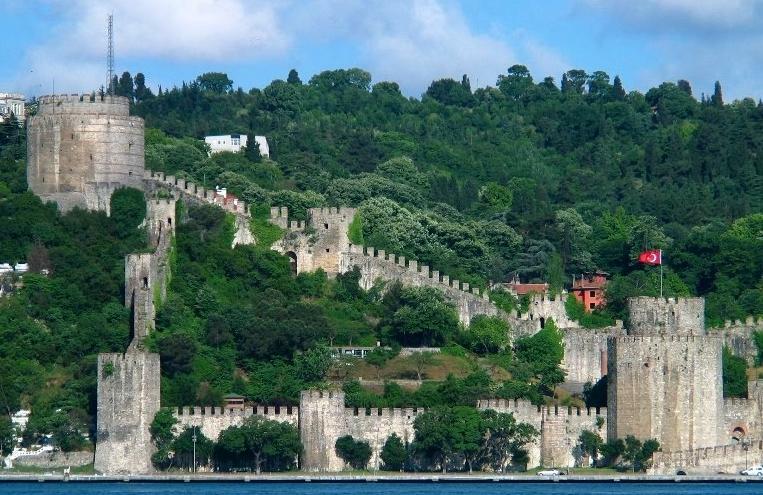 The result was Rumeli Hisari, a fortress built on the European side of the Bosphorus, at its narrowest point. The Ottomans could now control the sea and particularly traffic arriving from the Black Sea, from where aid and supplies could be delivered to the besieged city. The fortress was completed in 1452 (within four months) and the end came in the following year. In truth, Constantinople was all but finished after the sack by the so-called Fourth Crusade in 1204. Although it was to struggle on for almost another 250 years, it was economically impoverished and close to being politically irrelevant. A city that had boasted a population of around half a million people had about 50,000 inhabitants by the time of the fall. With grim irony, it was the destructive greed of a Christian army that effectively made Constantinople an easy target for the Muslim Ottomans. Rumeli Hisari may not be an architectural masterpiece in the manner of Istanbul’s great churches and mosques – after all, it was built in quick time for very pragmatic reasons – but it is still impressive and for anyone with an interest in history, it is one of the most significant buildings in Europe. 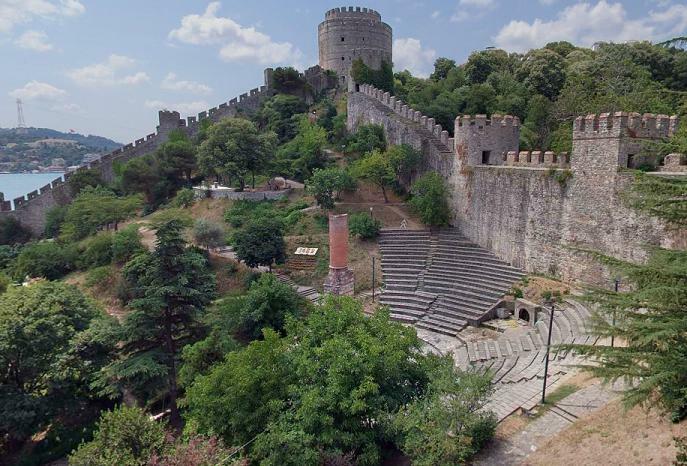 This was where the life was strangled out of the remnants of the Byzantine Empire, which by then effectively meant the city of Constantinople. The fortress offers modern day visitors wonderful views over the Bosphorus, which of course was one of the primary reasons for its existence, though its defenders were not there to admire the scenery. It was subsequently used as a customs house and prison. These days, the place functions as a museum and outdoor concert hall. The site is open daily with the exception of Wednesdays. For anyone with a sense of history, it is a genuinely evocative place. This entry was tagged Constantinople, Istanbul, Ottoman, Turkey. Bookmark the permalink.